If you’ve been avoiding your grill since the first signs of winter, or simply need a brush-up on your technique, below are a few of my favorite grilling tips to help you kick off the season the right way. 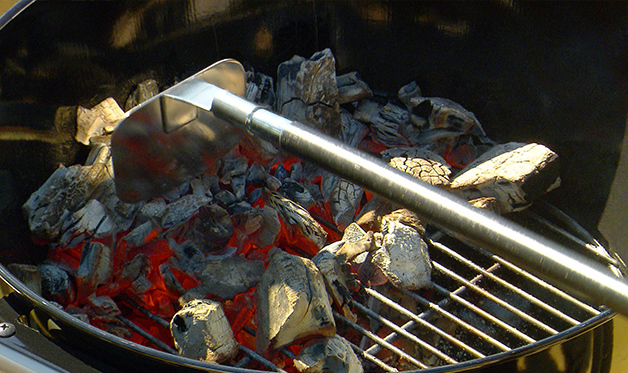 Create a “3-zone” fire on your grill, with a hot zone, a medium-heat zone, and a cool, safety zone. If your food catches fire, or you’d like to keep it warm once it’s cooked, simply move it over to the cool zone. To make a 3-zone fire on a charcoal grill: Arrange the coals in a thick layer over a third of the grill to build the hot searing zone. Arrange the remainder in a single layer in the center to create a moderate cooking zone. Leave the final third of your grill coal-free to create the cool safety zone. To make a 3-zone fire on a gas grill, turn your left or rear burner to high, your center burner to medium and leave your right or front burner off. 1a. Another way to control the fire is to use indirect grilling, which is especially good for brisket, whole chicken, skin-on chicken pieces (but not breasts), pork shoulders, ribs and rib roasts. 2. Practice the Grill Master’s mantra: Keep it hot. Keep it clean. Keep it lubricated. To prevent food from sticking, and give it great grill marks, start with a hot grill. Clean the grates with a stiff wire brush or wooden grill scraper. Then rub a tightly-folded paper towel dipped in vegetable oil across the grates. Added advantage here: the towel cleans the grill grate. Heat, clean, and oil your grill both before and after grilling. That salmon skin burnt on the grill grate last week doesn’t add extra flavor. Look for keywords like grass-fed, organic, non-antibiotic, or non-GMO-fed beef. 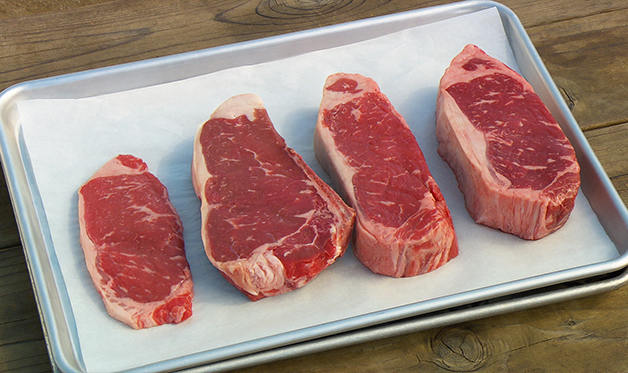 Look for intrinsically tender cuts, like filet mignon, rib eye, rib steak, or New York strip. Prime steaks have the best marbling and richest flavor. Choice beef can also deliver on flavor, especially if it’s been dry-aged or wet-aged for 2 to 3 weeks. 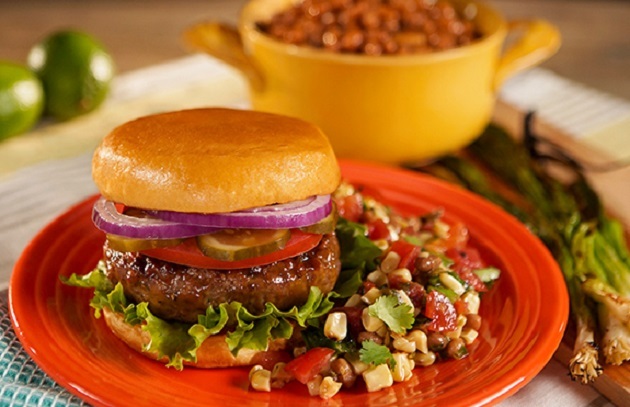 Choose burgers with a fat content of 15 to 18 percent. For an even richer flavor, use a blend of ground sirloin, chuck, brisket, and short rib—ask your butcher to grind if for you. By dimpling the center of a burger, you’ll help it plump more evenly. Do not, I repeat, do not press your burgers with the back of a spatula to get them to cook faster—you’ll squeeze out the delectable juices. 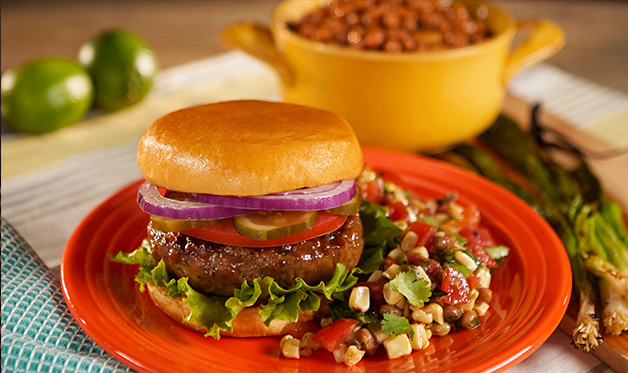 When serving burgers, place a lettuce leaf under the burger so the juices from the meat don’t make the bun soggy. Make sure to check out Part 2 of Tips from BUSH’S BBQ Bootcamp.